Free to members or with admission to the sculpture garden. Casting is a traditional fabrication method, and it was used to make many of the bronze sculptures at Lynden. 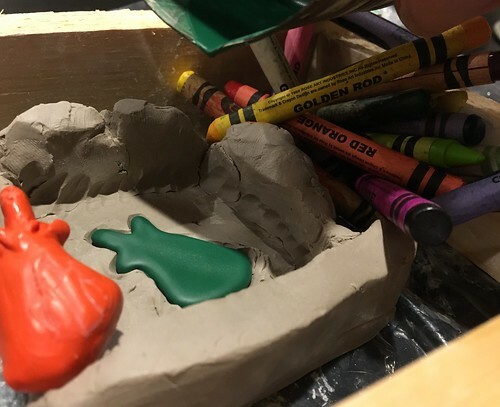 Using a similar method, we’ll imagine new designs for a drawing tool in clay, then melt and pour recycled crayon wax into these solid cast molds. Once removed, you’ll have a uniquely designed drawing tool made from recycled materials. Younger kids should work with an adult. We’ll have old crayons to work with, but you may also bring in your own.